Bold and beautiful beaded applique motifs trail over the elegantly sheer style bodice. Capped sleeves set the look as the back design stands out for itself. 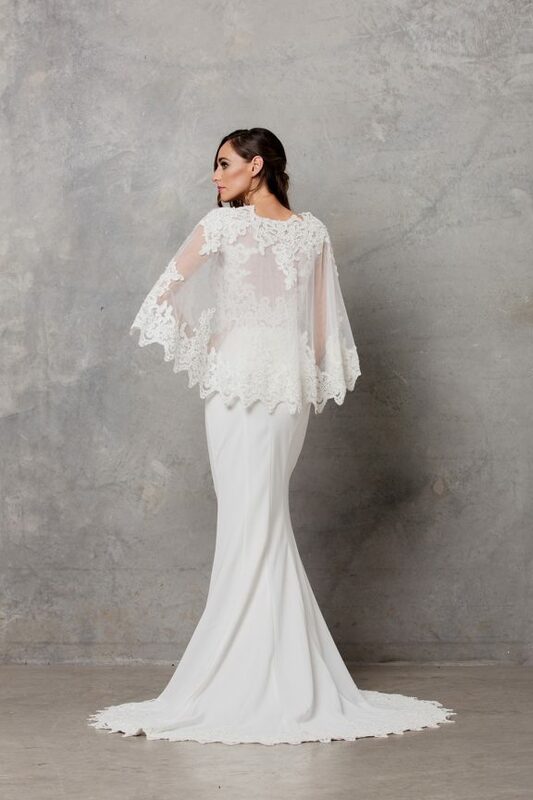 Featuring a detachable sheer cape adorned with additional matching applique for a truly unique bride. The skirt is fabricated from a slight stretch satin crepe in a fit and flare line with further motifs finished around the hemline and floor length train. Invisible side zip closure is used for a seamless finish. 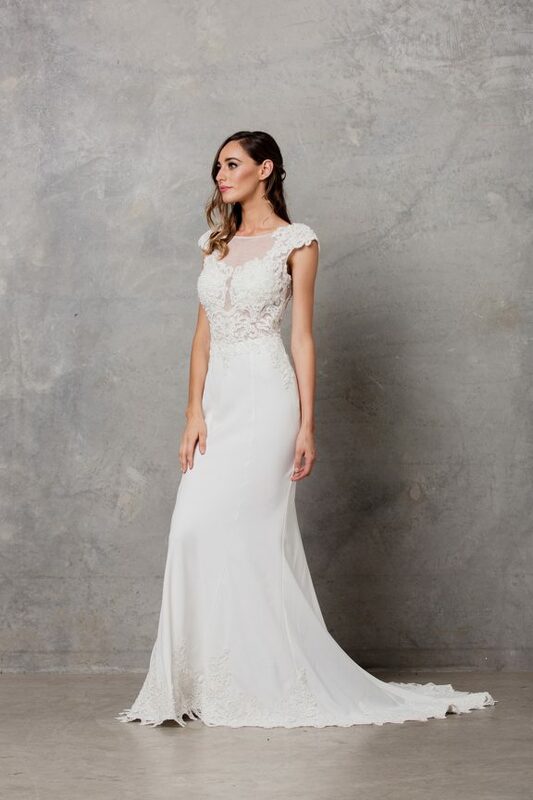 Modern sophistication in the modern Lora bridal gown. 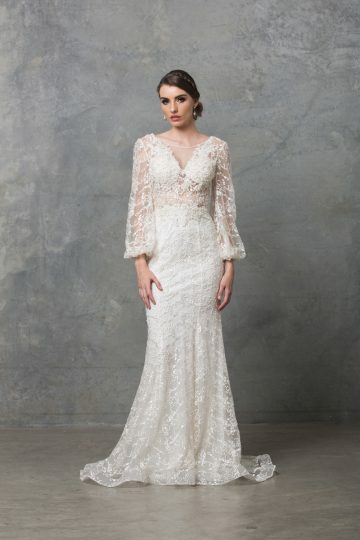 Featuring beaded applique motifs and a detachable sheer cape for two looks in one. 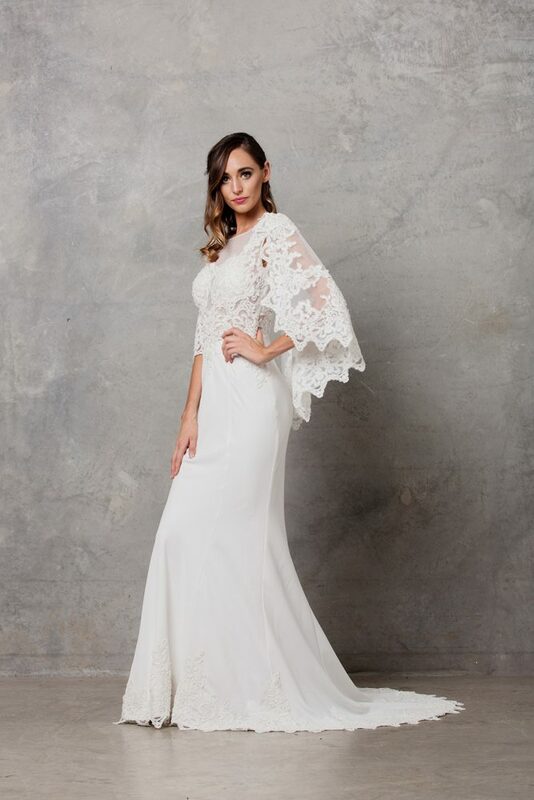 Perfect for a sea-side soiree or destination style wedding. 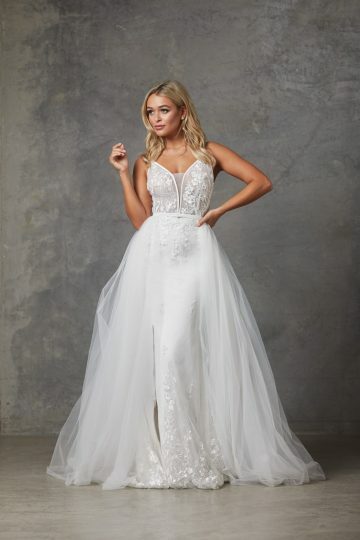 The gowns cut and design is flattering to a variety of shapes and sizes (6-24). To identify your size see your nearest Tania Olsen Designs stockist and they will correctly measure you and assist with selecting your size.